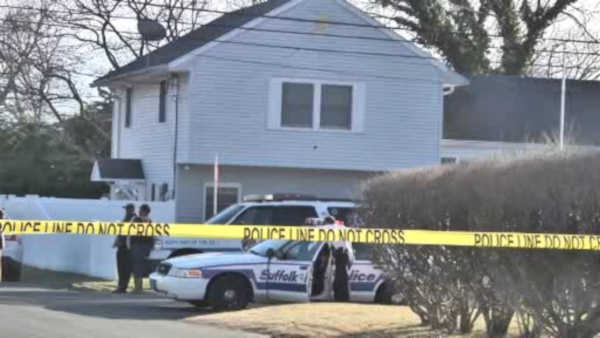 WEST BABYLON, Long Island -- Police say a woman was fatally stabbed by the father of one of her children on Long Island before the man tried to take his own life. It happened around 2:30 p.m. Saturday at a home on Sheffield Avenue in West Babylon. Authorities say 32-year-old Sonja Williams was found dead in her home of an apparent stabbing. Suffolk County Police Commissioner Tim Sini told Newsday investigators believe Williams was killed by the father of one of her children. Police say the man, whose name wasn't immediately released, was hospitalized with "self-inflicted wounds." Charges against him were pending.